Karma can be a B****, so Namaste, alright? Consumer Reports this past week gave the Tesla Model S P85D the best score ever. Said score was 103 out of 100. While this is great for Tesla, it comes at a cost. It has effectively turned Consumer Reports’ own system into complete crap. It questions every other review ever made by the company. It could easily be rendered poop itself by a yet-to-com review of BMWs i8. What bothers me most about the whole situation is where the Tesla’s success comes from and some features that are glaringly missing. Don’t get me wrong, I think the Tesla Model S is an amazing car, but not one without serious issues. One of the biggest issues was how it came to be. Just like how the now-defunct Roadster was designed using Lotus gliders, the Model S had been designed by another coach-maker contracted by Tesla: FISKER. Fisker at the same time was putting together their own car, the Karma. Consumer Reports got their hands on a Karma as well, and that particular test did not go very well for Fisker, as the car broke down. Now, things got interesting when Tesla decided to sue Fisker for two reasons. The first was that the coach-design by Fisker was substandard. 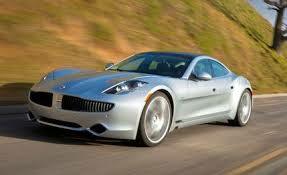 The second reason was that Fisker diverted their best ideas to the Karma. Both of these accusations by Tesla are absurd when you think about it. 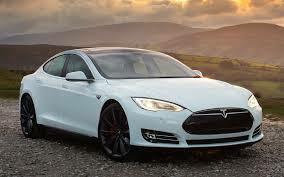 The Model S is a gorgeous car. Probably the only thing on the road right now that would make someone reconsider their purchase of a Porsche, Lambo or Ferrari. Secondly, one of the best features in the Karma was never considered for the Model S: a solar-panel roof. because of the lack of solar-panels on a fully electric car. The roof on the Tesla on the other hand does have a different honour to claim — strongest car roof ever made. It’s so strong that it supposedly broke the NHTSA’s testing machine. Still, that’s no substitute for the ability of an electric car to charge itself, even if the roof only recharges the accessory lead-acid battery. Sadly, Fisker hit a rough spot a couple years ago and filed for Bankruptcy. The company was sold off to Hybrid Technology LLC for US$25 million. Somewhere in the mix, a Chinese company called Wanxiang got involved and has announced that it plans to bring back the Karma, albeit under a new marque: Elux. Should this newer version of the car be released into Western Markets, it could prove to be a viable alternative to the Model S. Being made in China is sure to make it slightly cheaper. If that does happen, I’d like to see how CR rates it then. If this revival proves to be successful for the Karma, it will prove that what goes around, comes around. For the record, yes, I wrote this entire blog post just to use that joke. This entry was posted in Uncategorized and tagged automotive, consumer reports, electric cars, karma, technology, tesla. Bookmark the permalink.